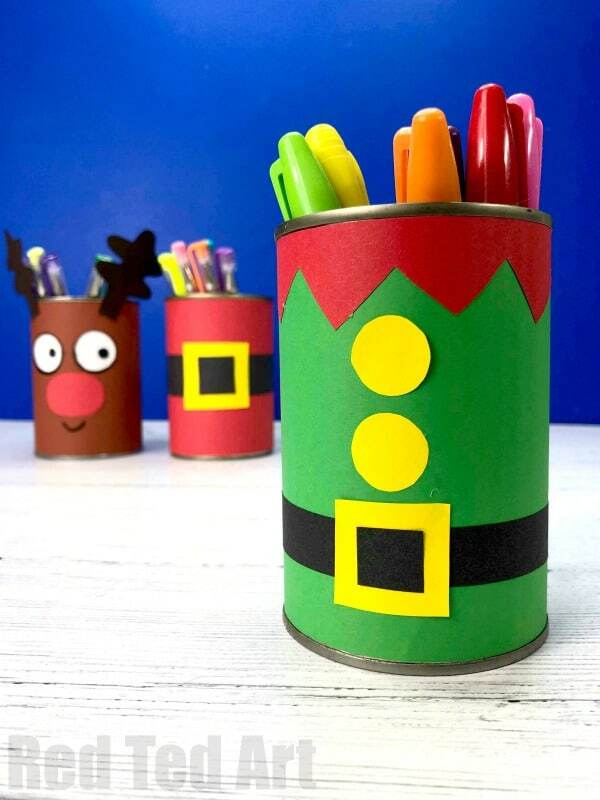 Earlier this week, we saw the Santa Tin Can Pen Pot.. today it is time for our Elf Desk Tidy. Welcome back to another Christmas MINI series. We don’t have THAT many elf crafts on this site (muste rectify that ASAP!! Though we do have some cool Elf Puppets to print and make). 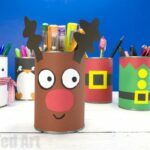 So I thought and Elf Desk Tidy or Elf Pen Pot would be perfect!As with our Santa Pencil Pot version, this craft doubles up nicely as a little Elf Candy Holder too! 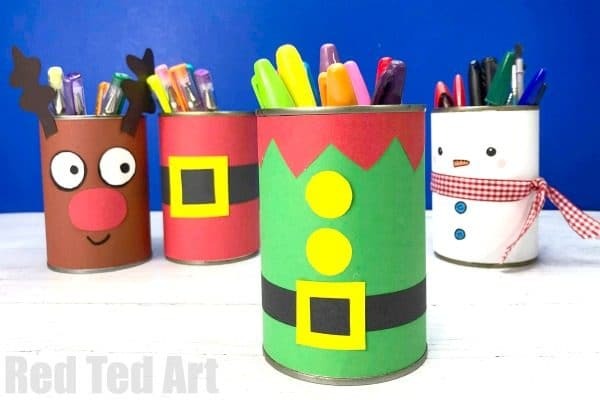 And BOTH crafts make wonderful 5 minute crafts for Christmas. 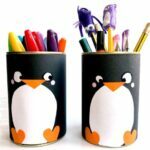 A quick and easy way to decorate for Christmas and get all your pens and pencils in order!. 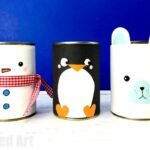 Nothing quite like an upcycle and adore how paper quickly and easily transform a tin can into a super duper festive room decor for kids! 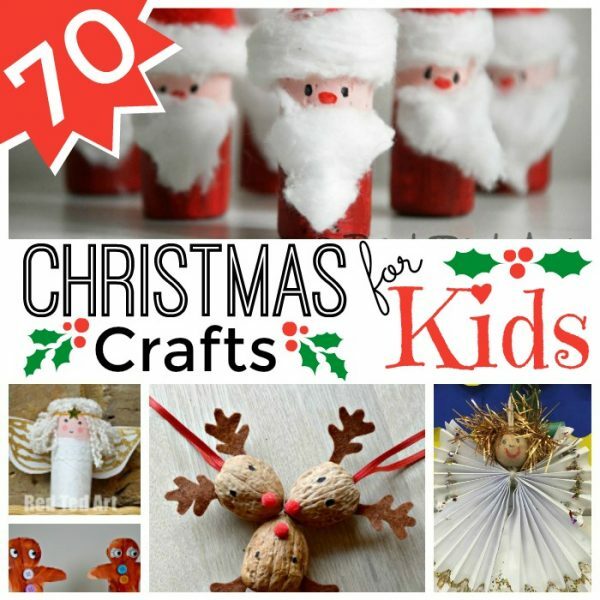 Fantastic Paper Craft and we do love a great set of Christmas Crafts for Kids! 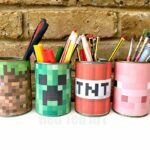 If you have made one of our many Tin Can Pencil Pots before, you will know what a super quick and easy 5 Minute Craft this is!! 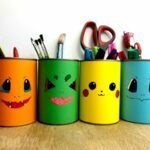 I have, as per usual, a quick Elf Desk Tidy Video How To for you, but also added written instructions for you below! Enjoy! Begin by measuring out your green paper for your Elf’s body. 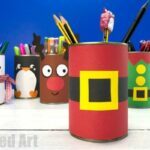 For your elf pencil pot you will a red collar, a belt (similar to our Santa’s belt) and some buttons. Cut out a thing black strip for the elf’s belt – approximately 2cm wide. Then cut a black square 2cm x 2cm for the buckle’s centre. Next cut a yellow square approximately 4cm x 4cm. 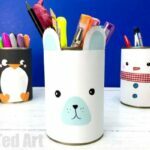 You are basically making the same belt as for the Santa Pencil Pot, just a bit thinner! 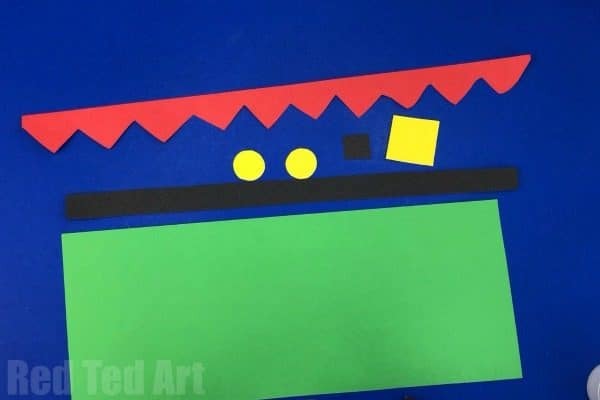 For the elf’s collar – cut a 3cm wide red strip of paper and then cut some triangles into it. Finally cut out two circles (use a 5p coin as a stencil if needed). Stick your elf’s body details together. Finally assembly of the elf desk tidy. 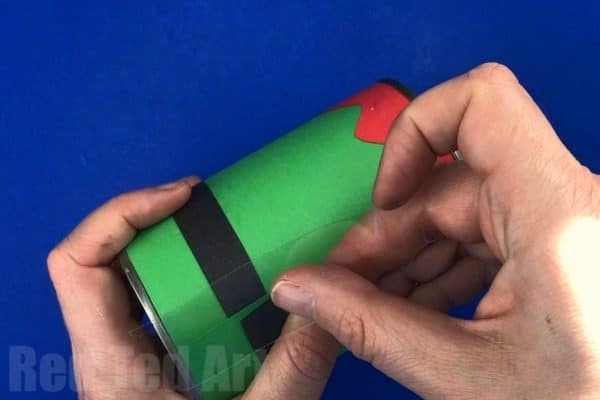 Add a little tape to the width of the green paper and tape to the tin. 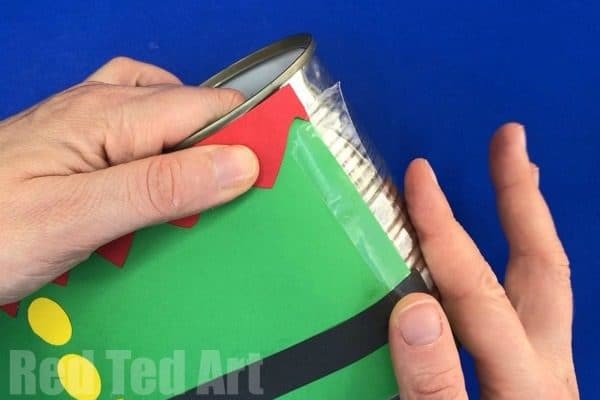 Wrap the green paper as neatly as you can around the tin can and tape in place. 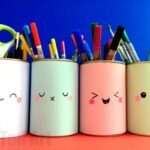 Your TIN CAN Elf Desk Tidy DIY is FINISHED!! !